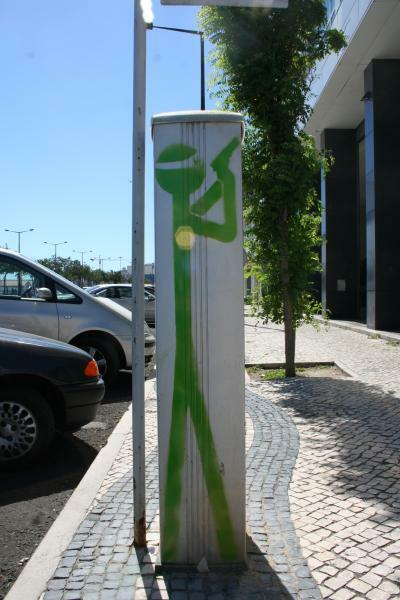 Stencil done on Parking Meters all over Lisbon to give a defined face to does who anonymously rob the population day after day! I have to say that making money binlggog is very possible, but you have to take into account a few things as well. That being that it takes time to reach success. With the little time you have left, I would suggest downgrading NOW, then when you are a success you can upgrade again.Downgrading now will allow you to get stable while you have a cashflow coming in. To get stable, I suggest moving far from where you are. This means that you will have to give up the job you have right now. You can find a cheap 2 bedroom apartment or house. I know of some you can get for $350 per month if you are interested in where.You can get a quick part time job or maybe full time, and I can show you how to do that also quickly.At the same time, you can check out my blog for some money making tips. If you want to take me up on my offer for consulting assistance, feel free to contact me through my site. I know what it's like to lose my job, then my house, then my family because of it.